A loan of $550 helped to purchase cattle and increase headcount with goal of increased earnings through cattle breeding. Ismoiljon is a hard-working, cheerful 32-year-old man. He lives in a rural area. He is a loving husband and caring father. Ismoiljon has worked in cattle breeding for several years. He is steadily expanding his herd. His wife, a homemaker, helps him with this work. She sells milk they get from the cows. Ismoiljon often visits cattle markets and purchases calves. He fattens them for several months, then re-sells them at a higher price. In his free time, he does construction. Ismoiljon makes his loan payments on time. Because there is a current drop in cattle prices, he wants to purchase several calves to fatten. For this reason, he turned to MDO Arvand for support. He will buy several heads of cattle with money from the loan. Ismoiljon thanks Kiva in advance for its support and understanding. Translated from Russian by Kiva volunteer James Kaigler Mann. View original language description. Исмоилчон трудолюбивый и жизнерадостный мужчина, в возрасте 32 года, проживающий в сельской местности. Он любящий муж и заботливый отец своих детей. Исмоилчон на протяжении нескольких лет занимается животноводством. Постепенно он расширяет свое стадо. В этом деле ему помогает его жена. Его жена домохозяйка. Она занимается продажей домашнего коровьего молока. Он часто посещает скотные рынки и покупает молодняк, откормив несколько месяцев, он их перепродает за более высокую цену. В свое свободное время он занимается строительными делами. Исмоилчон вовремя оплачивает свой кредит. Сейчас из за упадка цены на скот хочет купить несколько молодняка для откорма. С данной проблемой Исмоилчон решил обратиться в МДО «АРВАНД» за финансовой поддержкой. На полученные деньги он хочет купить несколько голов молодого скота. Исмоилчон заранее благодарит «Кива» за поддержку и понимания. . It supports the well being of low-income families at a discounted interest rate. The annual interest rate that Arvand's Kiva borrowers pay is reduced by 4-8%. Your support allows Arvand to provide discounted prices to those who need it most. Arvand is one of the leading microfinance institutions in Tajikistan, offering small loans to entrepreneurs to start and grow their businesses. This makes an enormous difference in a country that is not only the poorest in Central Asia, but also home to a population where two-thirds live below the poverty line. Today, Tajikistan's economy depends on remittances being sent from family members working abroad in Russia because there are so few local job opportunities. Arvand's loans have been able to make a difference and change lives. 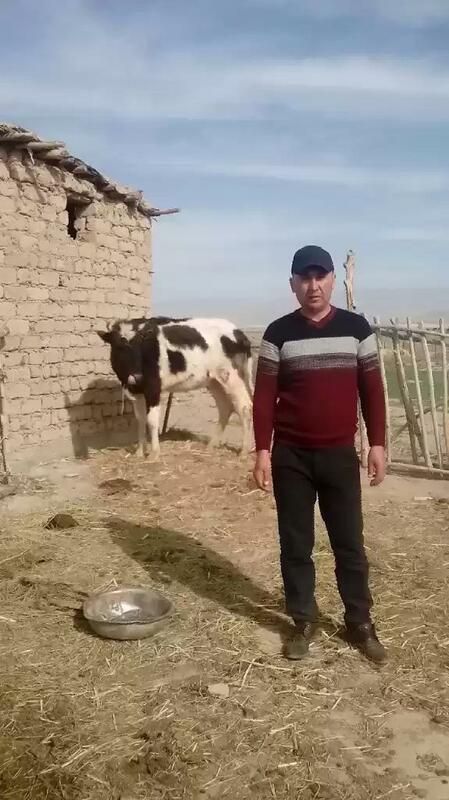 Read about some of the incredible success stories they have seen here in this Kiva blog post: Bringing hope to Tajikistan with Arvand -- one success story at a time. Kiva funding is supporting Arvand’s efforts to expand services and offer greater benefits to the rural communities of Tajikistan. All of Arvand's loans funded through Kiva are offered to borrowers at a discounted interest rate. In addition to offering deposits, Arvand offers money transfer services that will be useful to a large number of rural residents relying on remittances.